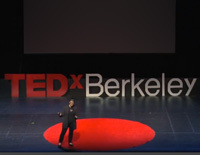 Erica gives a talk called The Real Food Movement Needs To Get Real at the 2013 TEDx Conference in Berkeley. 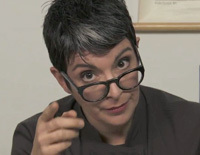 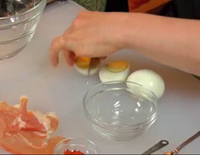 Chef Erica talks about the secrets of the fast food industry on Doctor Oz. 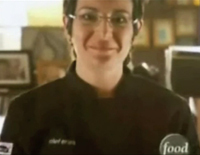 Chef Erica works the human microphone at an Occupy Big Food Rally in New York City. 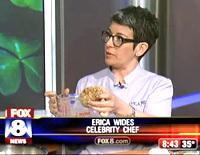 Chef Erica makes an appearance on Cleveland’s Fox 8 morning show, making heirloom cauliflower “risotto”. 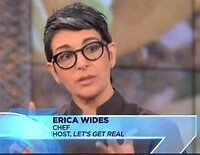 Watch Erica on TV before Let’s Get Real. 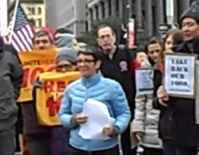 © 2019 - Let’s Get Real All rights reserved.